Israel’s action of jailing and targeting Africans prove that they are no friend of Black people. 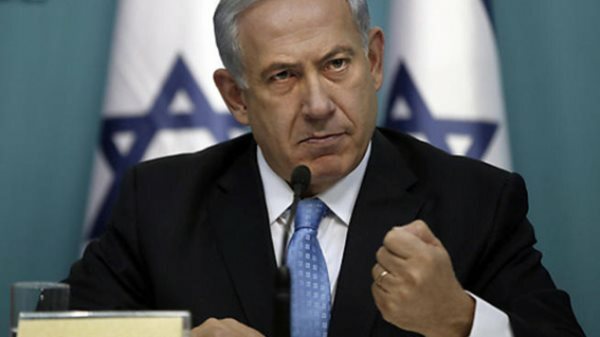 AFRICANGLOBE – Recently, Israeli Prime Minister Benjamin Netanyahu announced that African refugees had three months to get out of the country. Describing African refugees numbering about 40,000 as “infiltrators”, Netanyahu said they had two choices. They could either accept a once-off payment of $3500 (R42300) and relocate to another African country or spend the rest of their life in jail in Israel. The announcement drew immediate outrage. But for those following the daily travails and humiliation endured by African refugees in Israel, it was the brazenness of Netanyahu’s crass plan that has appalled us. For months, there has been talk of a secret pact in which refugees and asylum seekers from Sudan or Eritrea would be relocated to Uganda and Rwanda for a fee. Uganda and Rwanda have both denied any deal but NGOs and journalists say at least 1500 have already been transferred to these two countries. The UN Refugee Agency (UNHCR) noted that the refugees – many of whom had suffered trauma and torture – were being dropped into their new surroundings without any care, support or security. The Jerusalem Post reported that there were mixed emotions to the plan in south Tel Aviv where pockets of refugees live in poor ghettos. One resident described Africans as “rapists and murderers”. Others confirmed that something had to be done to reclaim their city and country. “There used to be space for our children, but now it’s like Africa here – like we are not in Israel anymore. They are taking all the space and the Israeli families have no space left,” one man said. But there really isn’t anything to be surprised about. The decision to push Africans out is part of a story of preservation of the Jewish state from “infiltrators”. This is a country obsessed with “ethnic purity”. Take the events around its founding in 1948 when about 700 000 Palestinians were booted out of their homes and made permanent refugees. Or take the Law of Return for instance. This allows any Jew anywhere in the world to become an immediate Israeli citizen, but it is willing to expel refugees – many of whom who have walked for days and months, crossed deserts and dodged bullets to get to Israel with purview of a better life. Of course, once they get there, Israel is not the progressive oasis it is made out to be. The decision to push out Africans is merely an extension of its policy of the ethnic cleansing of Palestinians – be it pushing them out of Jerusalem, encouraging settlers to take over Palestinian lands in the West Bank, or suffocating others in Gaza. As a signatory to the Refugee Convention, Israel is obliged to allow refugees in, provide social services and ensure they are not deported. But Israel has continuously sidestepped its legal responsibility to the Refugee Convention by creating unco-operative and inhospitable conditions for refugees. They are neither provided with services nor given the chance to apply for asylum. They are coerced to leave. It is deportation by all accounts except in name. We all hear about US President Donald Trump’s wall to keep out Mexicans but Israel already has one in the Sinai to ensure no more asylum seekers enter through Egypt (and a wall that keeps out Palestinians from the West Bank). Naturally, the right wing has lauded the move, but it has hurt the sentiments of liberal Zionists. Whereas the treatment and killing of Palestinians could be masked under “security” concerns, there is little domestic “justification” for the poor treatment of African refugees who had come to their country in search of a better life. That East Africa was floated as a possible home for the persecuted Jews of Europe in the early 20th century is an irony seemingly lost on the Israeli government. A hundred years later, Israelis are sending persecuted Sudanese and Eritreans en masse to a similar destination. Liberal Zionists are at a loss for words. They know there is no way they can explain any of this. Responding to the Israeli government’s plan, and in a bid to show that Israel is not the sum of its policies towards African refugee seekers, a group of rabbis created the The Anne Frank Home Sanctuary movement. The programme – named after the Jewish teenager who hid herself from the Nazis during World War II – calls on Israelis to hide African asylum seekers from forced expulsion. Rabbi Susan Silverman who started the initiative, said people had “risked their lives to save Jews, and we as a country are now saying we don’t want to risk the tiniest demographic shift? But the actions of the rabbis will do little to change the fact that this is a country that until 2014, had granted refugee status to no more than 200 people. 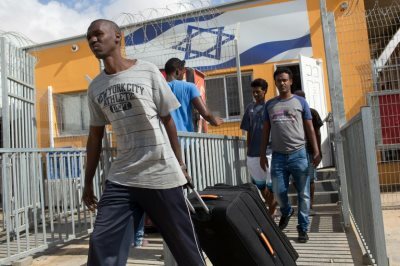 The UN Refugee Agency says of the 60 000 African refugees who have come to Israel in the past decade, just 10 have been recognised by the state as refugees. For how long will these rabbis hide them? And what kind of life will they lead? Seventy years after its formation, Israel is still defined by the expulsion of people.